Everyone loves the classic game of Whac-A-Mole! 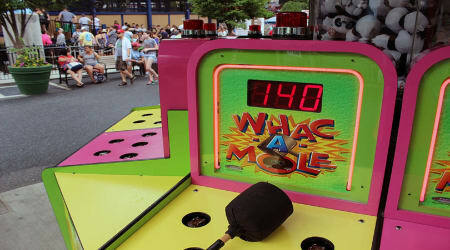 Use the mallets to whac the moles as they appear. Race against your friends and family, the first person to 150 points wins! Located in The Hollow℠ area.